Seasonings – 2 Pack, Choose 2 of your favorite! Mix and match 2 of your favorite seasonings! Get creative with our spices and use them on any protein, vegetable and fruit to add a ton of flavor. Add a little spice to your life! Be the first to review “Seasonings – 2 Pack, Choose 2 of your favorite!” Click here to cancel reply. 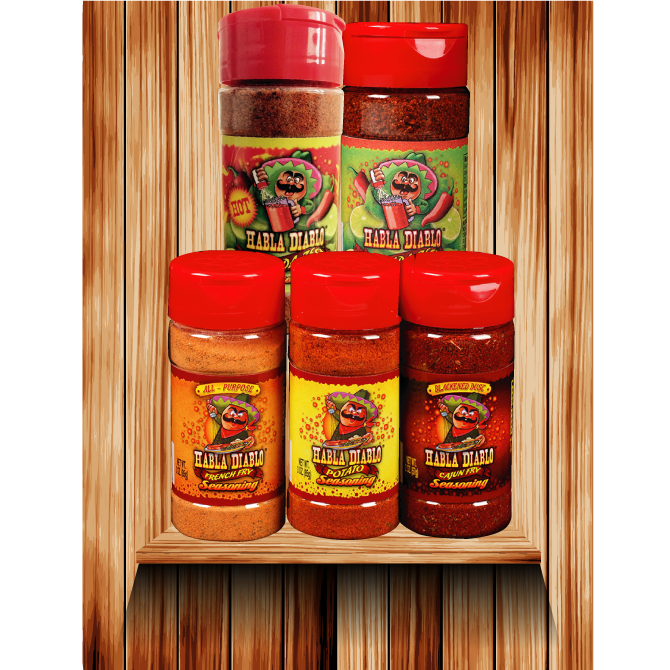 Seasonings – 3 Pack, Choose 3 of your favorite! Award Winning Mixers – 3 Pack, Mix or Match!